Ready to Start Selling with an Agent? Selling your property is likely one of the biggest financial transactions you will ever encounter, but the process doesn’t have to be stressful or unpleasant. Hiring an experienced, professional real estate agent is often the first step to a successful transaction. Read on to find out the basics of beginning your work with the right agent for your individual situation. What Does Selling with an Agent Mean? Evaluating the value of your home. Advising you on the best way to present your house. Placing your property on the Multiple Listing Service, or MLS. A good agent mixes hard truths with encouraging options, providing the objective eye to offer your home in as attractive a way as possible while serving as a messenger, marketing consultant, and chief negotiator. The ability to assess your property and price it at a level that will fetch the highest bid while not intimidating buyers. A strong combination of tact and hard honesty – this will enable them to tell you what you need to hear, even if it means that your hand-painted kitchen tiles are too specialized to appeal to most buyers. Solid communication and feedback so that you understand what buyers are saying about your property and are able to make the necessary changes based on these observations. Signing on with a listing agent is hardly a one-size-fits-all decision. While some sellers appreciate the ability to put the sale of their home in the hands of a professional, others would rather have more control over the presentation of their property, marketing, and the transaction. For personalized home selling options and tips, take our Home Seller Quiz now! What Are the Pros of Working with a Real Estate Agent? Since a great majority of home sellers decide to retain a real estate agent, it’s worth assuming that the advantages appeal to most people as well. Hiring a professional to manage the sales process can be a time-saver. Avoiding bureaucracy, paperwork, and another red tape associated with a home sale is appealing. The seller has tried other alternative methods with little to no success. Unbiased opinions when it comes to home value, condition, and listing price. It’s an easier route if the home comes with significant challenges, including outstanding repairs, less desirable location, or lower-rated school district. What Are the Cons of Working with a Real Estate Agent? The prospect of paying an agent commission. A perceived lack of control over the process. External opinions from a real estate agent, ranging from proposed listing price to price reductions to staging the home, can be hard to swallow. Working on another person’s timeline can prove frustrating for a seller who wants to set their own pace. The fact that a seller is potentially one of many other clients may leave them feeling as though they are not getting the attention they need in order to properly sell their home. Ultimately, the right choice is tied to your personal situation, goals, and motivations. It may be well worth your while to discuss options with those who have tried various methods, from selling with a traditional brokerage to going it alone and everywhere in between. You may also want to read Do I Need a Real Estate Agent to Sell My House? How Can I Best Time the Market to Sell My Property? While some will debate that a seller can correctly time the real estate market to get the highest price for their property, there are methods that can help you make more educated decisions. What Are the Strategies for Timing the Market? Selling in a buyer’s market can put you at a disadvantage. Expect to encounter demands for concessions, repairs, contingency offers that introduce greater risk in the transaction, and less control over the deal as buyers with the upper hand tend to request out-clauses that allow them to cancel an agreement outright. Selling in a seller’s market, of course, is the inverse. Here’s where you as the seller have the upper hand and can enjoy advantages including rarer repair requests and contingency offers, higher list-to-sales-price ratios that can sometimes spike over asking prices, and the liberty to refuse concessions including seller-paid inspections and seller-paid closing costs. Selling in a neutral market means you’ll encounter comparable sales prices that are similar to those of active listings, stable sales figures, flattened median sales prices, and For Sale signs that turn to Pending within 30 to 45 days. If you’re working with a real estate agent, they can advise you on a savvy approach for working within a variety of markets. If you’re taking an alternate route such as selling at auction, to an investor, or as a For Sale by Owner, you’d be well advised to do your homework before making decisions in one direction or another. Not Sure if You Want to Work with An Agent? Still, haven’t made up your mind? The good news is that you have options. 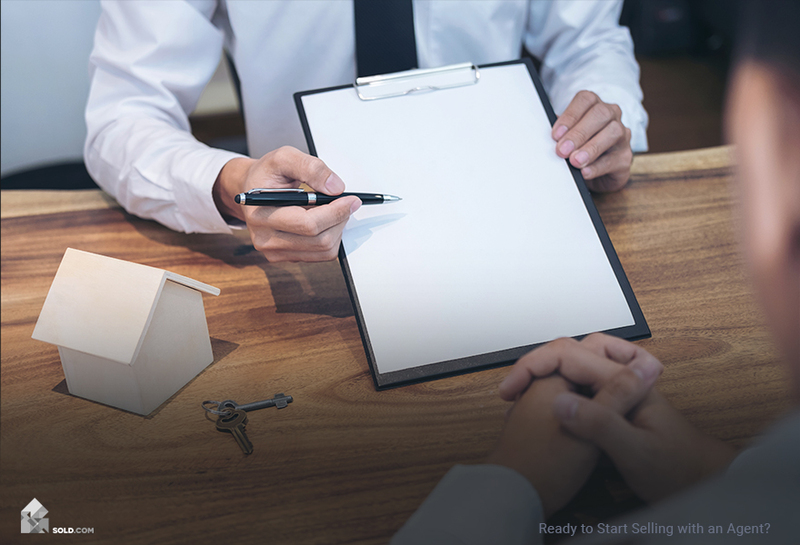 Our Sold.com guides offer the most helpful information in a variety of easily digested, accessible guides designed to help you find your own way along the home-sales path. Here’s what we’ve put together for you. Sales basics, including the pros and cons of this method, costs involved, and the ins and outs of working with an investor. The necessary due diligence, including working with a qualified real estate attorney and getting in touch with local real estate investment clubs as well as real estate developers. Figuring out if this method makes financial sense. Offers and negotiations, which require that you know your rights, arm yourself with information, keep your cool, and come bearing your own sales contract. Closing time, with insight on why this method can offer quick closure as well as tips on preventing stalled closings and avoiding junk fees. For more helpful home selling tips and advice, visit Sold.com! Reasons to sell at auction, special considerations, and the difference between this and other methods. Getting your property ready for auction. The ins and outs of selling at auction, such as fees and bid acceptance. What to expect on Auction Day. 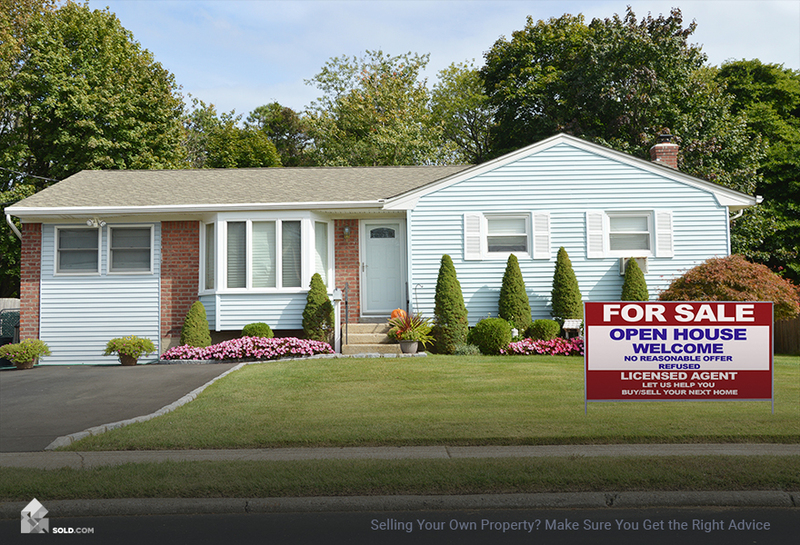 Reasons to sell FSBO, plus a reality check as to whether you should go this route. What to expect when acting as your own agent. Preparing your home for sale, which includes identifying and making minor repairs, sharpening curb appeal, and getting the home’s interior sparkling. Marketing your property, both online and in print. Negotiation strategy, which includes countering, concessions, and understanding what you’re doing every step of the way. Closing the deal, with a special emphasis on the things to remember when acting as your own agent – paperwork, escrow, and more. While there’s no one-size-fits-all method for selling your home, we believe these guides will give you the information you need to make smart choices for moving forward and getting the utmost in value for your property.